You are here: Home / Interviews and Reflections / Three Chapters from Elizabeth A. Daniels's "Bridges to the World: Henry Noble MacCracken and Vassar College" / Chapters from Elizabeth A. Daniels's "Bridges to the World: Henry Noble MacCracken and Vassar College"
Chapters from Elizabeth A. Daniels's "Bridges to the World: Henry Noble MacCracken and Vassar College"
Henry Noble MacCracken's presidency of Vassar College (1915-1946) far exceeded the confines of the campus. Believing that a campus should be part of the contemporary world as well as a preserver of tradition, he anticipated the new educational needs for enfranchised women in a democracy. A progressive, MacCracken took many radical steps to transform the pioneer Victorian institution into a modern organic college. He experimented with new forms such as a multidisciplinary Euthenics program. He fostered a host of education ideas that impacted the larger educational world, such as initiating the Four College Conference the day after his inauguration, a move which led to the organization of the Seven Sisters. 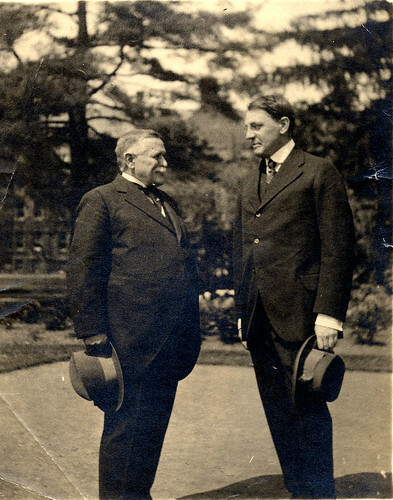 In 1926 he collaborated with William Lawrence of Bronxville, New York to found Sarah Lawrence College of which he was chairman of the board of trustees in its first years. He invited Franklin D. Roosevelt to become a local trustee of Vassar and Eleanor Roosevelt to share her concerns with the students. Throughout his presidency, MacCraken worked to make the college part of the local, national, and global community. When he died in 1970, The New York Times noted his pioneering efforts in "the fight to abolish academic formalism."